The DA 08 (abbreviation of Dutch words: Doels Aanwijzing, i.e. 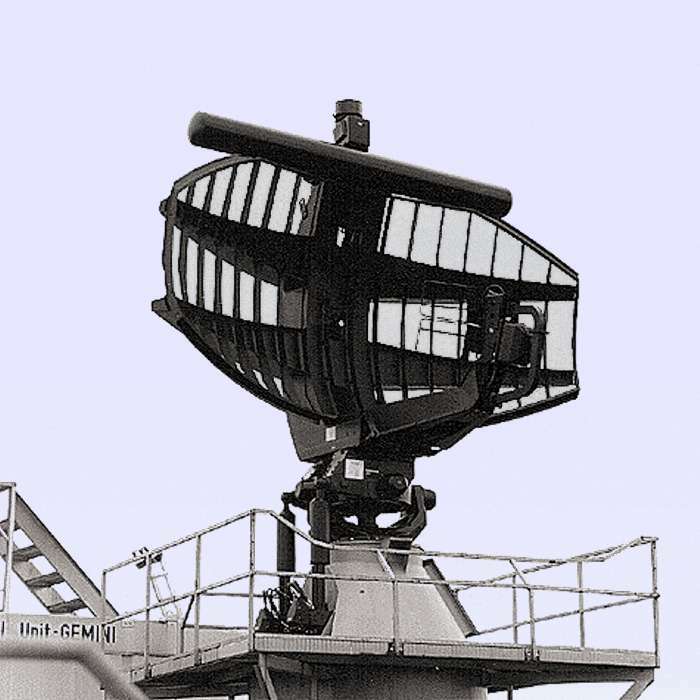 target indication) is an operating in F-Band 2D naval medium- to long-range air and surface surveillance radar. It was originally intended for deployment on major warships, including aircraft carriers, cruisers, and destroyers. It is now being used in smaller combatants such as frigates and corvettes. There are two fundamentally different versions of the DA 08, based on their pulse configuration. A Moving Target Indicator (MTI) version is offered mainly for long-range air and surface surveillance, and target indication. A Fast Fourier Transform (FFT) version is offered mainly for medium-range operations. The radar can use either a single or dual antenna feed, indicated by the use of a 1 or 2 before the S or LS suffixes. The dual-beam version’s antenna comprises two feedhorns – one for the active main beam and the other for the passive (receiving only) high beam. 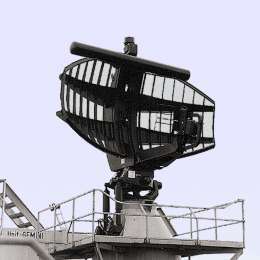 The antenna is mounted on a lightweight stabilized platform for naval use, operating either hydraulically (LS designations), or electro-mechanically (S designations). DA 08 is a pulse-to-pulse coherent radar using a high mean-power Traveling Wave Tube (TWT) transmitter ensures good range performance and frequency agility. The relatively high pulse power requires a restriction of the operation in a harbour. The pulse compressions rate is either 57 (34 µs pulse) or 115 (68 µs pulse). The Canadian designation for the DA 08 is AN/SPQ-50. The DA 08 is in progress to be replaced by more advanced 3D long-range surveillance radars, e.g, Smart-L or TRS-3D.